Marwa is working for Shell Global Solutions and has recently moved to the Netherlands from Qatar in October 2012 as an Environmental Lead for a major petrochemical project. Marwa joined Shell in 2007 and was appointed as Research Lead for Sulphur utilization (Shell Thiocrete) project at Qatar Shell Research and Technology Centre (QSRTC). Her work involved investigation of waste streams in Qatar and employing them as a value added materials in Thiocrete technology. Additionally, she designed formulations to the sulphur-concrete matrix and conducted material testing in tandem with her virtual team in Amsterdam lab. Prior to her work with Shell, Marwa worked for 4 years in the field of Project Management in the construction sector and also has 4 years of teaching experience at Cambridge University. Marwa is a civil and environmental engineer with strong background in waste management (characterization, treatment and conversion) and project/construction management. 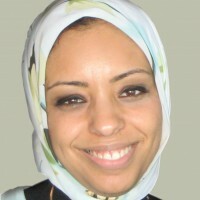 She obtained her BSc (1999) and MSc (2001) in Construction Engineering from the American University in Cairo (AUC), Egypt. She also has an MSc (2002) in Environmental Science (with Distinction) from Strathclyde University, Glasgow, UK. Furthermore, Marwa holds a PhD degree (2007) in geo-environmental engineering from Cambridge University, UK. She has been the recipient of several awards and has several publications in the field of waste treatment and conversion, and construction management. Marwa’s areas of interest and expertise are waste management and recycling, cement chemistry, sustainable development and technologies, construction management. Marwa is married and enjoys travelling and reading about different cultures. As a hobby, Marwa aspires to be a novelist and a poet, in addition to inventing her healthy gourmet cooking recipes.